As its name suggests, you have to climb high to enjoy the food at the Botta 3000 restaurant. On the edge of the Glacier des Diablerets, the highest point of the region, the imposing modern building designed by Mario Botta stands at an altitude of 3,000 m.
Accessed by cable car from the Col du Pillon in the Vaudois Alps, Botta 3000 is the highest restaurant in the region. With a breathtaking view over the highest mountains of the Alps, combining visual and culinary delights is what it’s all about at Botta 3000. 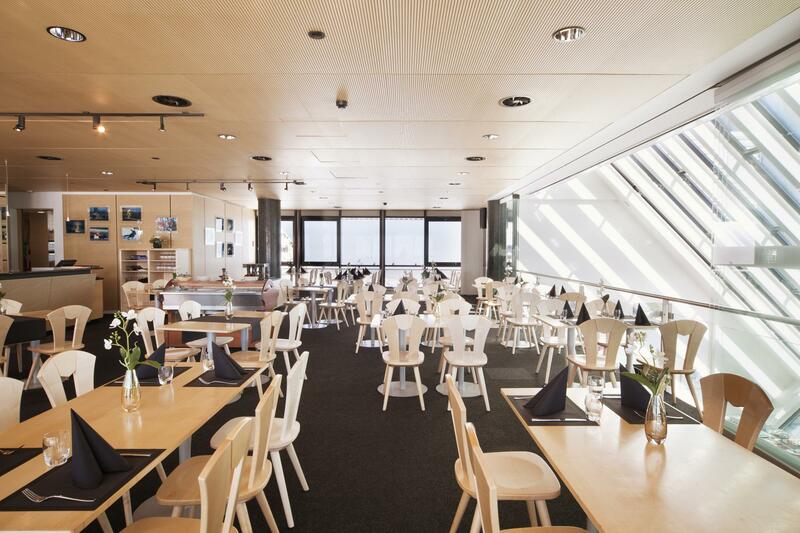 With a sunny terrace, self-service buffet and restaurant, visitors to the glacier are spoilt for choice at Botta 3000. And its fabulous Peak Brunches are a great way to start the day. 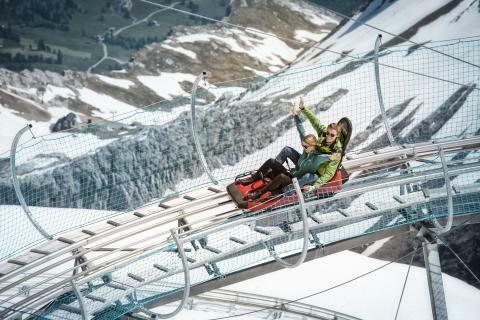 Once you’ve eaten your fill, you can enjoy the many tourist attractions on offer at Glacier 3000, such as hiking or snow-shoeing on the glacier, skiing, the excitement and fun of the Alpine Coaster or the thrills of the Peak Walk – the only walkway in the world linking two peaks. Glacier 3000, located at the highest point of the Vaudois Alps, is open all year round for winter activities for all! With its stunning views and wide range of activities on offer – including the Peak Walk, a unique suspension bridge linking two mountain peaks – Glacier 3000 is a must for your holidays in Switzerland ! At Glacier 3000, enthusiastic huskies pierce the tranquility of this spectacular snowy landscape. Original, romantic and simply memorable, rides on a sled drawn by these exceptional animals are available all year round. Live this unique experience with Swiss Mushing Company. Being suspended over a precipice at an altitude of 3,000 m is a unique experience offered by the Peak Walk by Tissot on the Glacier 3000. 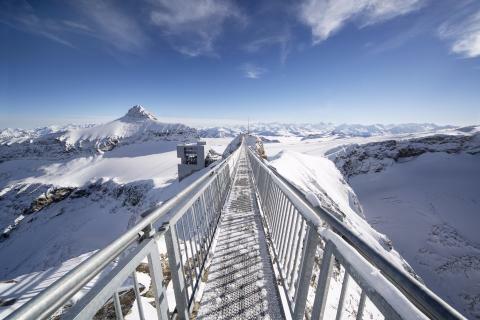 Overlooking the glacier of Les Diablerets and revealing a panoramic view of the highest mountains, the Peak Walk is the world’s only suspension bridge connecting two summits.